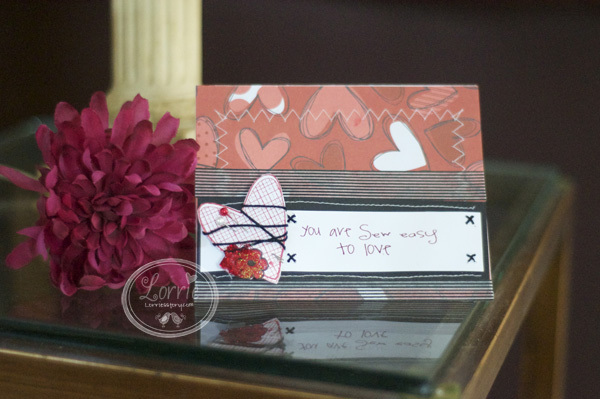 This card was all over the place... turned out nothing like it started out to be, still not where I wanted it to be, but sometimes you just have to "move on". 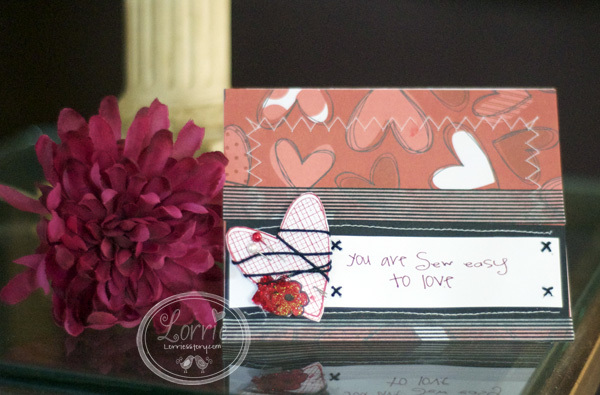 I used some random Valentine paper from a DCWV stack that I've had forever, the stamp is from Unity Stamp Co. The sentiment is computer generated. The black and white is some patterned masking tape. Just a note, when I use straight pins on my cards, I always use wire cutters and snip the end off of the pin after I have inserted it into the card stock.